(Daily Caller) The White House has taken down online White House visitor logs and blamed Congress. The logs, which were posted beginning in December 2009 “as part of President Obama’s commitment to government transparency,” are the latest victims of a partial government shutdown that has temporarily idled 17 percent of the federal workforce. This is also one of many cases in which the shutdown has been cited as a reason to disappear information that is potentially embarrassing to the administration. The Bureau of Labor Statistics quickly deep-sixed its September unemployment statistics as other employment proxies indicated the work situation has worsened once again. The Department of Agriculture has buried its September food stamps statistics which are also expected to show increased poverty, dependency and economic regression under Obama. 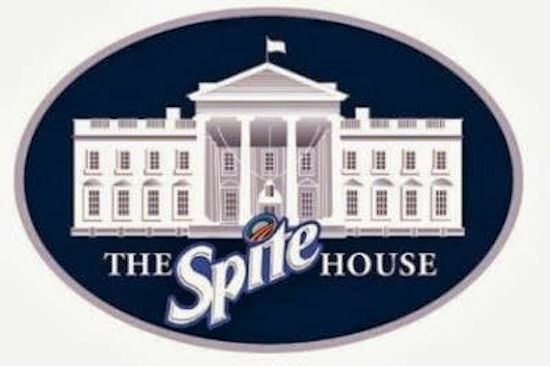 In a related article, IRS official Sarah Hall Ingram, currently being grilled (again) over IRS problems, visited the Spite House 165 times, 155 with top aids. Which is probably more than Republicans have visited. And possibly more than even elected Democrats.